This simple yet elegant Parisot Willow desk has a super design that makes this desk both utile and adaptable to its surroundings. 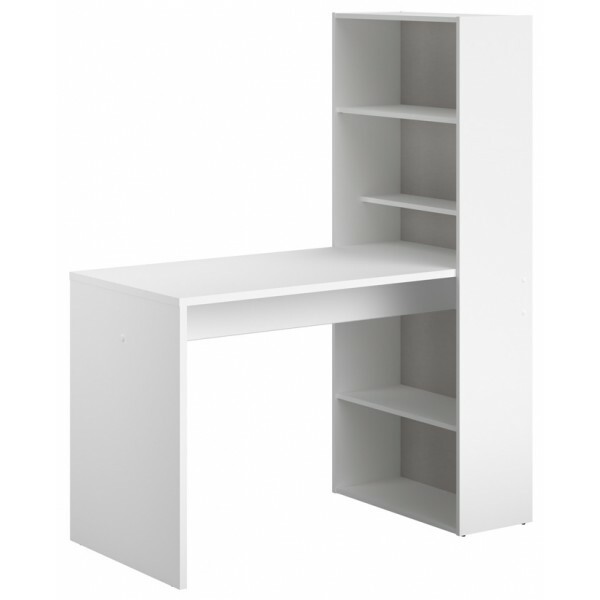 At one end a bookcase not only supports one side of the desk but also offers plenty of storage space. 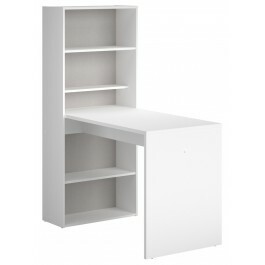 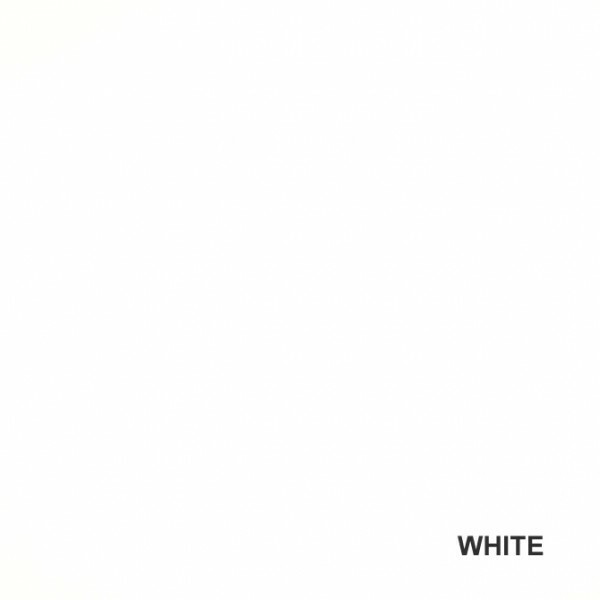 This lovely white desk is not flimsy and can sit flat against a wall on its long or short side and could even be a feature free standing away from a wall. 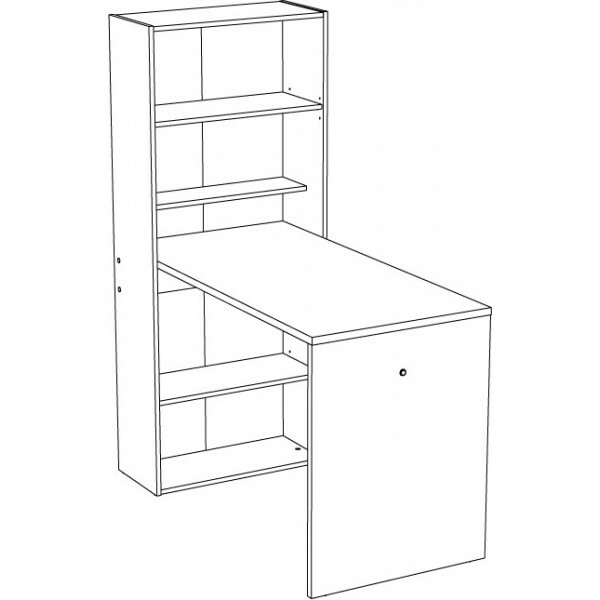 Your white Parisot Willow desk will arrive 2 – 4 weeks after we receive your order flat packed for easy self-assembly. 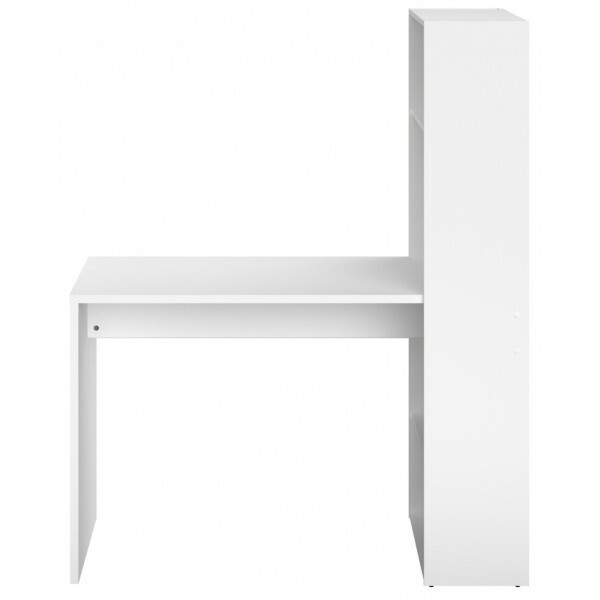 Beautiful furniture at affordable prices brought to you by The Wardrobe Store.